In Episode 161 of Grow My Accounting Practice, we explore the power of speaking engagements and how it can build your practice. We discuss how to get comfortable with speaking in front of others, how it can fit into your marketing strategy, where to find speaking gigs and how to run your speech so you can get speaking leads, opportunities and recognition from it. Of course there is also a killer Psychology of the Sale tip from Obi-Ron-Kenobi, as well as a GMAP Now Task from Mike… AND more bonus materials for our private membership! Check it out here. Alison Ball manages Global Influencer Programs for Intuit’s Accountant Segment. 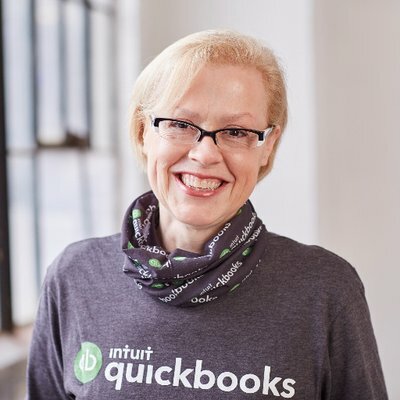 An avid supporter of accountants and bookkeepers since joining Intuit in 2004, you’ll often find her on at events and on social media sites conversing with and helping accounting professionals. In honor of her work with influential accountants across the world, Alison was honored to be named one of the Top 25 Most Powerful Women in Accounting by CPA Practice Advisor, in November 2014. Abby Connect-Abby Connect is a live receptionist service which provides a team of receptionists trained to answer, screen calls and fill out intake forms for small business owners. Abby is a cost-smart solution to delivering superior customer service from the very first call to your office. Abby helps businesses distinguish themselves with a great first impression and operate more efficiently.